The United Way of St. Clair County has existed since 1924. It is the oldest United Way in the State of Michigan. It was formed by community leaders whose names are honored on street signs and plaques. They were the community's founding fathers. While it has changed names through the course of time (Community Chest, War Chest, Red Feather and United Fund), it never changed its purpose or direction. 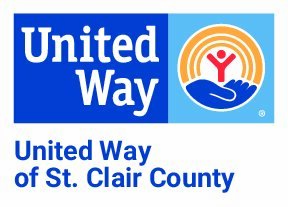 The United Way of St. Clair County exists to provide a mechanism for everyone in the community to give what they can afford to support a network of accountable human services (charities). This is done through a once-a-year fundraising drive throughout the county with the participation of employers that allow payroll deduction for employees, businesses, corporations, and individuals to give through payments, special events, or gifts. Additionally, our United Way always works as a coordinating agency, forming alliances among service providers to address emerging needs as times change. Our Medical Equipment Loan Closet and Community Dental Clinic are two examples. The agreement to allow United Way of St. Clair County payroll deductions is a part of the history of our state. This agreement was founded by the auto industry and unions after World War II. Our United Way was to provide a system for everyone to be able to give a donation, per paycheck throughout the year, to ensure human services were available year-round. The concept began as one hour's pay per month divided through pay periods. The idea was if everyone working gave and every business allowed payroll deductions, services would be consistent and maintained in every community - for their residents and by their own residents. United Ways exist across the nation, but each United Way is autonomous. It is managed, governed, and maintained as its own business by its own volunteers. Every United Way raises funds to be used in their own community for residents of that community; the connecting thread between United Ways is that very philosophy. This philosophy is what makes the United Way of St. Clair County more important now than ever. The economic conditions and extended high unemployment rates in our community mean people we know are in need of help. Many never have needed assistance before. The programs funded through the United Way of St. Clair County are those that assure a standard of living for all of us. But those programs only exist to the extent that donations are available. Helping our neighbors is something we all believe in and the United Way of St. Clair County provides an affordable, accountable way to do that.